The property is just a 5 minute walk from London Paddington tube/train station and is even closer to Warwick Avenue tube station. Our members can enjoy an exclusive discount at the hotel's restaurant. Within the heart of London, away from the hustle and bustle of busy streets and internationally-renowned monuments, lays the tranquil area of Little Venice. Here, between the winding canals, lined with colourful houseboats and charming restaurants and cafes is The Colonnade Hotel. Little Venice is a triangular area within the select neighbourhood of Maida Vale, where the Gran Union Canal and Regent’s Canal are joined. Its origins go back to ancient times, with traders using the canal – which winds into the heart of the city – to transport goods to sell. 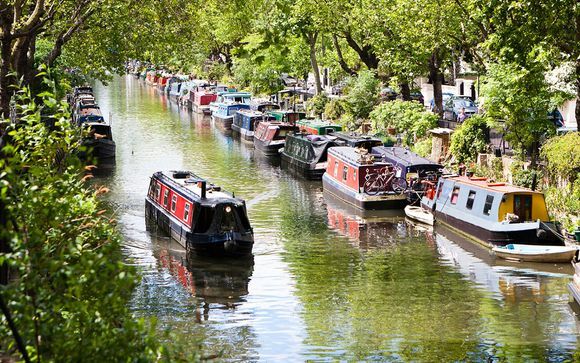 From Little Venice, you can purchase a ticket for the Waterbus which runs through to Camden, whilst passing through London Zoo and Regents Park. Please ask Reception for further information on how to purchase tickets. 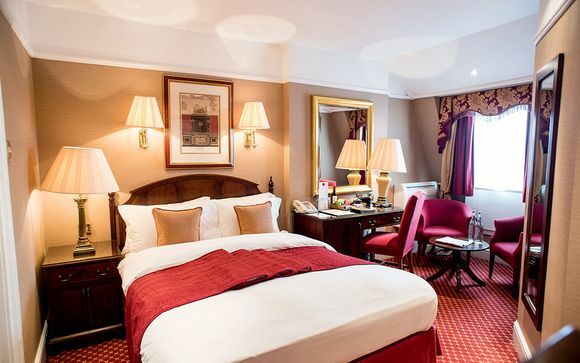 Set in a peaceful area of London, The Colonnade is a charming hotel with historical significance as the birthplace of Alan Turing. 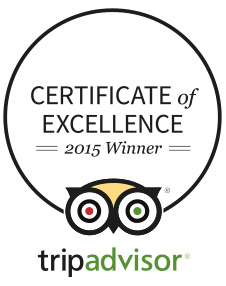 Guests can enjoy comfortable rooms, free wifi, Al Fresco dining on the terrace and excellent Afternoon Tea. There is even a resident cat, Minnie, to keep you company. The Colonnade has been designed to give you the feel of a private luxury London residence with the service of a lavish hotel. So shut the door, slip off your shoes, and relax. Your room is your space, your time, your oasis. A wide range of breakfasts are available each morning, including full English breakfasts, American-style pancakes, a variety of eggs, or a continental selection. This offer is based on a upgrade to Club Room. At 17m2 the Club Rooms are larger than the Classic and benefit from a small seating area and desk. This offer is based on a bed and breakfast stay. Just for you: A welcome drink and a 15% discount at the restaurant and bar. The Colonnade boasts a traditionally British style - all dishes are prepared from scratch using the wholesome and hearty flavours that guests would usually expect from rustic home cooking. The menu is based on British foods with a sprinkling of a European charm; the menu has been crafted to bring comfort to travelling guests, making your experience like a home away from home. Serving breakfast, lunch, afternoon tea and dinner throughout the week. The menus are served in the restaurant which benefits from a large glass roof which lets the daylight stream through, giving the restaurant a relaxing and airy atmosphere. The Colonnade Hotel is located within the borough of Westminster, in an area called Maida Vale. The closest underground station is Warwick Avenue, which is on the Bakerloo line. This can get you into Central London with all the world-famous monuments within 10 minutes.